Cafe Kaymak was first established three years ago as a vegetarian coffee shop that specialized in ethnic cooking. 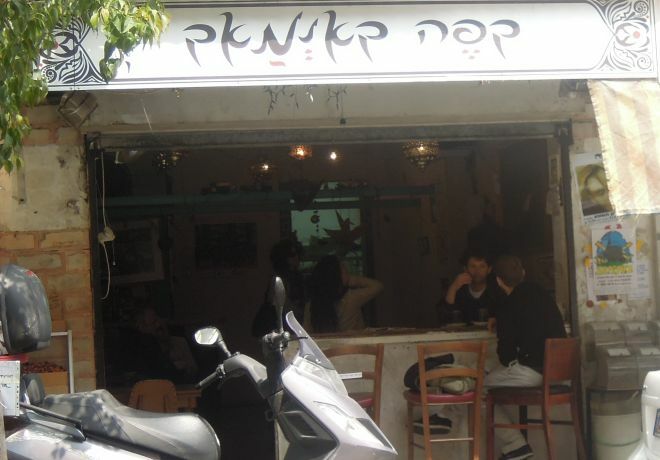 Over the years, the small coffee shop became a popular spot among the young and trendy of Tel Aviv. With all produce and ingredients coming from the nearby shuk, Cafe Kaymak is well known for its breakfast dishes and its Friday mornings specials. On Saturday nights the coffee shop hosts live music sets. And in case you were wondering, the word 'Kaymak’ is a Turkish slangy spin on the French 'creme de la creme’ and in Israel, this is it for quality coffee culture.